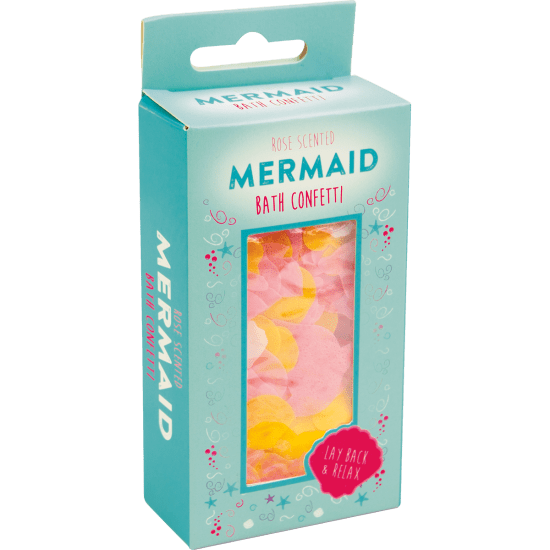 Make bathtime more magical with our rose-scented mermaid bath confetti. Sprinkle the magical shapes into the tub and just lay back and relax while they dissolve into the water. They make a great gift idea or party favor. Net weight - 1.06 oz.